You can download all EC forms here. If you are unsure of which forms your project requires, or need further information about the review process, please contact us on tmectropmed@mahidol.ac.th or come see us at our office on the 4th floor, 60th Anniversary of His Majesty the King’s Accession to the Throne Building. 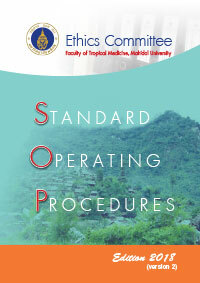 Copyright © 2013 Office of Research Services, Faculty of Tropical Medicine / MAHIDOL UNIVERSITY. All rights reserved.